China’s environment ministry refused approval for a hydropower dam on an ecologically vulnerable river already damaged by construction, a rare setback for the country’s extensive dam-building program. Since the early 1990s, economic and environmental concerns have repeatedly delayed proposed plans to build dams on this section of the Yangtze River. 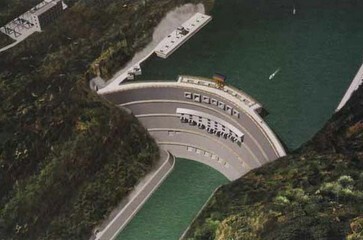 However, Chongqing has been pushing the Xiaonanhai Dam onto the agenda since 2005. In 2006, the Municipal Government signed the contract with China Three Gorges Corporation. In September 2006, an expert group conducted technical consultation on the measures to mitigate the impacts of Xiaonanhai Hydropower Project including the site selection of the dam, the layout of the buildings in the hydron-junction, and the diversion and closure of rivers. It was reported that the construction of the dam will result in many negative impacts on the ecological landscape, the aquatic ecosystems and biodiversity along the Yangtze River. 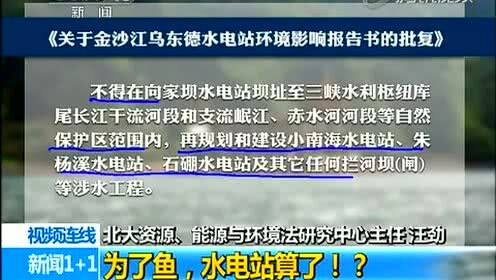 In February 2009, the Ministry of Agriculture organized an expert panel to review the “Special Report on the Impact of Xiaonanhai Hydropower Project to Preferential Rare Fish Species in the National Nature Reserve and the Countermeasure”. The expert panel recommended further complementary research and investigation about the adverse impacts. The nature reserve consists of core, buffer and experimental zones. The core and buffer zones are essential for fish survival. 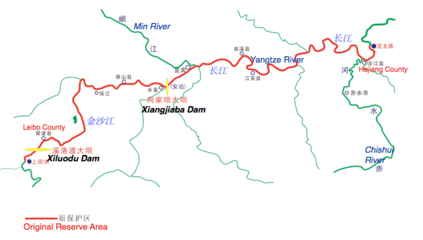 In 2005, the boundary of the reserve was modified, in order to develop two very large-scale hydropower plants – Xiangjiaba (6400 megawatts) and Xiluodu (13,860 megawatts). 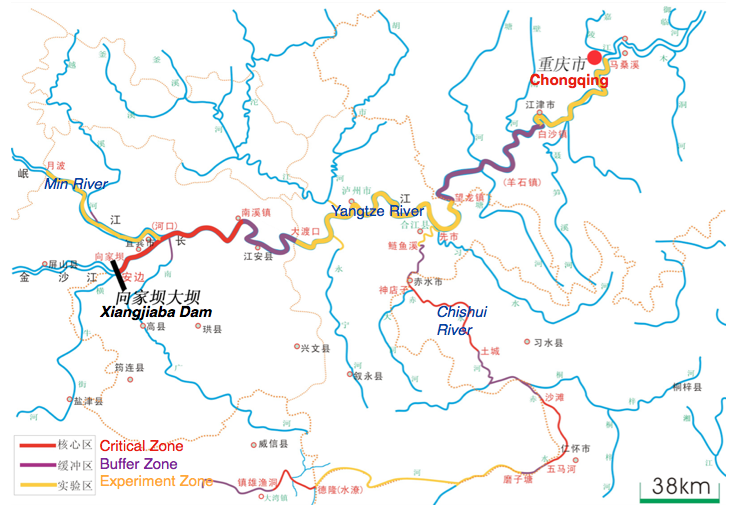 The reserve was reduced in size and moved downstream from the section immediately below the Xiangjiaba Dam in Yibin to the tail end of the Three Gorges Reservoir in Chongqing. 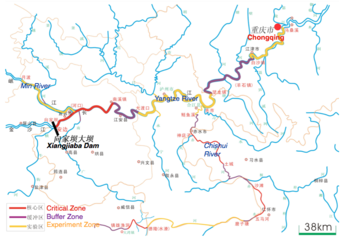 The Chishui Tributary of Yangtze, as well as the Yibin to Yuebo section of the Min River, were added to the redrawn reserve, and the whole area was renamed the Upper Yangtze Rare and Endemic Fish National Nature Reserve. Cao Wenxuan from the Institute of Hydrobiology has said that the aquatic ecosystems of a 600 km stretch of the Yangtze has been significantly changed by the Three Gorges Dam, with reduced habitats and breeding conditions for the rare Chinese paddlefish, Dabry's sturgeon and the Chinese banded shark, as well as over 40 unique species. [...] The reserve is the only stretch of the upper Yangtze offering a suitable habitat for these fish, [yet] the site for the Xiaonanham Dam will submerge one fifth of the length of the Yangtze within the reserve. According to Cao, water management projects which change the aquatic ecosystems of the reserve are illegal . 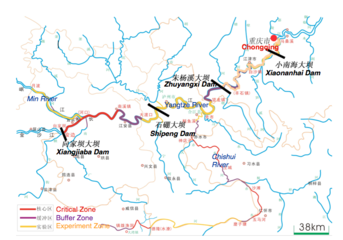 The early preparatory work for the Xiaonanhai hydropower project on the Upper Yangtze River started on March 29, 2012 despite wide criticism from experts and the general public. 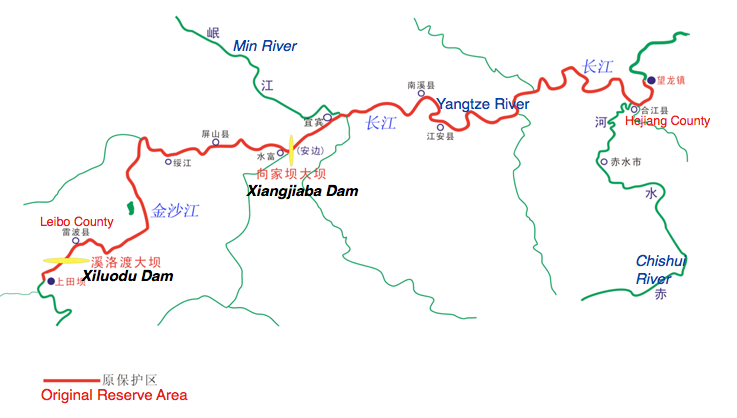 According to the Chinese geologist Fan Xiao’s “Open Letter on the Protection of Upper Yangtze Rare and Endangered Fish Species and their Ecology” from Chinese civil society documents and from Chinese and international media, the construction of the dam would result in huge environmental and social impacts. 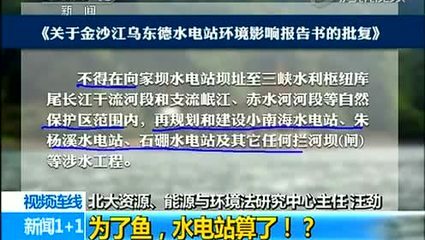 In March 2015, two mayors from the Luzhou City and Yibin City along the upper reaches of Yangtze River in Sichuan Province unequivocally expressed their opposition to the Xiaonanhai Project built in Chongqing during the annual meetings of NPC and CPPCC. Environmental NGOs who have worked on this for six years welcome the news but are still worried since it is hard to say whether this is a one-off victory or a symbol of things to come. The “construction-suspension-restart of construction-block of the project” also affected the villages since many of the submerged areas indicated in the proposal were stopped for any new construction works since 2006, many villagers are living in dilapidated houses for a long time but they were not allowed to rebuild their houses because they are supposed to migrate to other areas due to the dam project. Project Details The Xiaonanhai dam is designed to produce 1.76 gigawatts, a fraction of the 22.50GW that the Three Gorges Dam will produce when it reaches full capacity. Other Comments According to The Financial Times 8 April 2017, China’s environment ministry blocked this $3.75bn dam project that would have flooded the last free-flowing section of the middle reaches of the Yangtze river, in a rare victory for environmentalists.